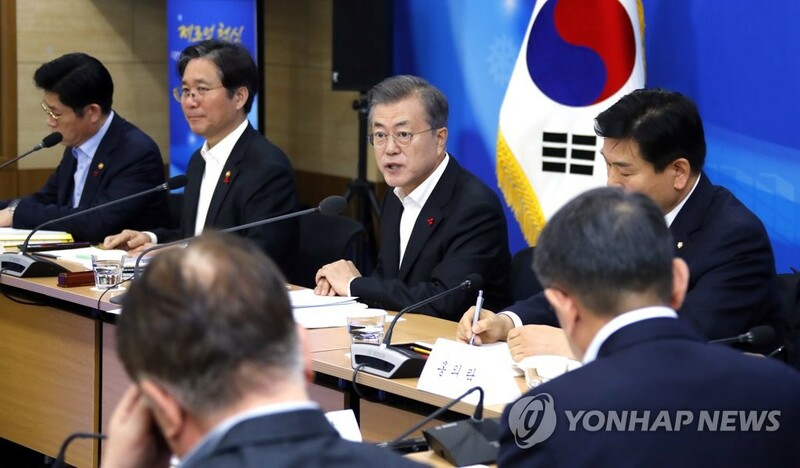 President Moon Jae-in called for all-out efforts Tuesday to innovate the very foundation of the country’s manufacturing industry, saying the country may lose its global competitiveness unless it acts now. “We have a history of industrial development that the world envies. Also this year, we demonstrated the strength of our economy by reaching US$600 billion in exports despite many difficult conditions, again becoming the world’s sixth-largest export country,” the president said in a meeting with officials from the Ministry of Trade, Industry and Energy. The meeting, held at the government complex in Sejong, 120 kilometers south of Seoul, was part of a series where the president is briefed by each government ministry on their policy objectives for 2019. The trade ministry earlier said the country’s total exports were expected to reach the $600 billion mark for the first time in its history.